What does the booth look like? Open Air or Enclosed? 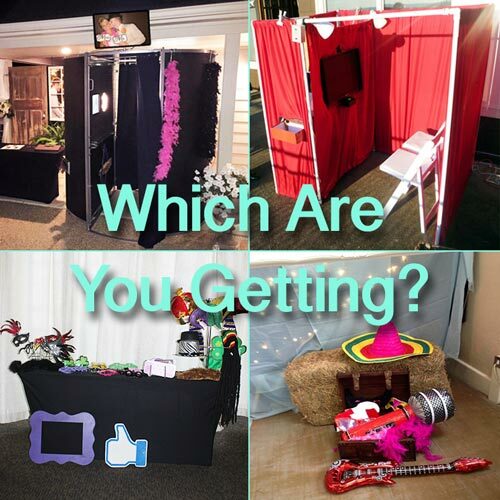 Today there are two main styles of photo booths: open air and enclosed. Enclosed booths are generally a bit more intimate while open air photo booths allow for more guests to be photographed at once. What kind of equipment do you use? Any unique features? Professional photographers use professional equipment, and your photo booth company should be doing the same. Lower-end companies may not use high quality DSLR cameras and dye sub photo printers which today is the industry standard. What types of packages do you offer and what do they include? 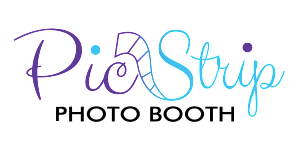 Examples: Custom 4×6 postcard or 2×6 strips, USB drive with images, Online Gallery, Social Media Sharing and Texting from inside the booth, Scrapbook, Props, etc? Do you have different prop packages? What do your props look like? Everyone has props, but not everyone has the best props. Make sure you know what you are getting. How many people can use the booth at one time? You want to know what you can expect. Can you get in a shot with 7 of your friends or is space limited to 3 or 4 guests? Do you offer unlimited sessions? Unlimited prints? In today’s market this should be a given but it’s not always. Make sure the company allows unlimited sessions and provides unlimited prints. Can you share your photos to social media? Text them to your phone? This has become very popular as everyone loves to have a digital copy of their photos on their phone instantly. Make sure texting is offered as this gets used most at events. How long have you been in business? It is good to see that the company you are hiring has a proven track record and has been in business more than 1-2 years. Are you insured? It is often required by venues for vendors to carry liability insurance. And when it’s not, you, the customer, should require it. This takes a lot of liability off of you and is a great way to weed out any less than professional businesses. How much do you charge? Does your price include tax and travel? This is important but should be the last question you ask rather than the first. Make sure they are including any tax and travel fees if applicable. Choose the company that fits best with what you want and work with them to determine what package options work best for your budget. Posted in Birthday Party, Christmas Party, Christmas Party, Corporate Event Rental, Fall Fest, Gender Reveal Party, Grand Opening, Halloween, Prom, Reunion, Special Events, Uncategorized, Wedding Entertainment, Wedding Rentals and tagged corporate photo booth, memphis photo booth rental, memphis photo booth rentals, memphis photo booths, party photo booth, party photobooth, photo booth, photo booth memphis, photo booth rental, photo booth rental memphis, photo booth rentals memphis, photobooth, prom photo booth, prom photo booth rental, wedding photo booth memphis, wedding photo booth rental.